In 1884, Swiss Army Knives began in a cutler’s shop, with the revolutionary idea of making a compact knife with an array of functions. Within 7 years, these knives were supplied to the Swiss Army troops, who needed a folding knife to open canned food and disassemble a rifle. 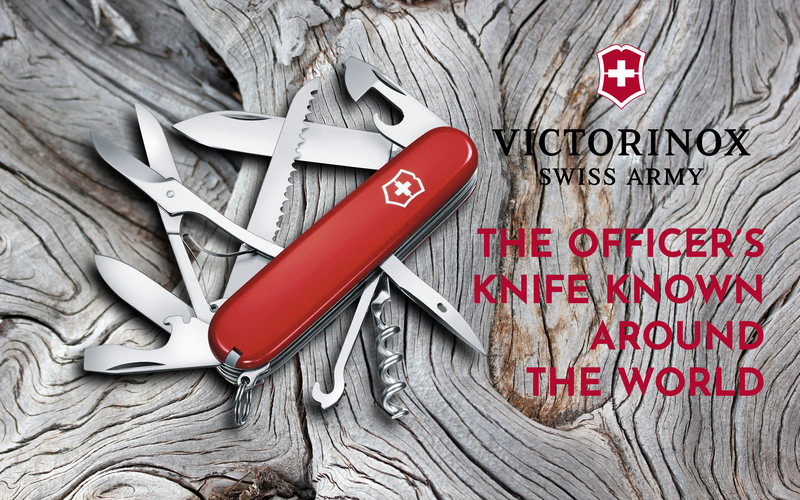 Today, Victorinox Swiss Army Knives are known as the quintessential pocket knife. The iconic red handle, Switzerland coat of arms, and folding stainless steel tools have become a design known and appreciated around the world. As customer needs changed, so too have Swiss Army Knives. Today you’ll find the legendary Officer’s Knife in over 100 different styles with a brand new range of functions and tools. When shape, function, and ergonomics like Swiss Army Knives blend together, you find true quality in the details.